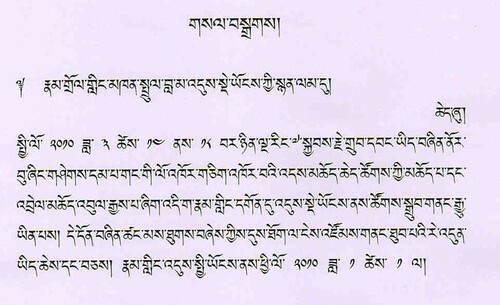 This announcement in Tibetan was posted by Namdroling Monastery for all of our Tulkus, Khenpos, Lopons, Lamas, Monks and Nuns to gather at Namdroling Monastery in South India for the anniversary ceremony of the Parinirvana of our Guru, His Holiness Penor Rinpoche. The ceremony will start on the 14th of March and last until the 18th (five days). Posted per the instruction of Khenchen Tsewang Gyatso Rinpoche.